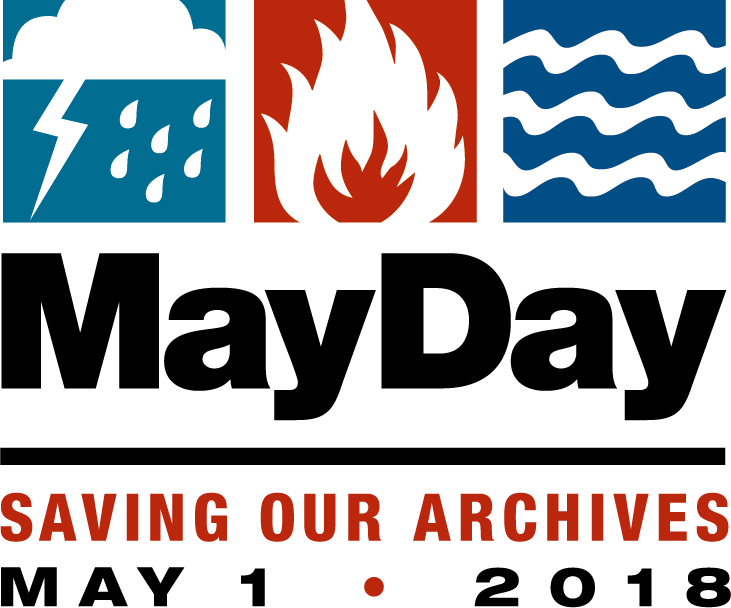 The Society of American Archivists has designated May 1 as MayDay, a day to reflect on preparedness in the event of a disaster (big or small) and to take a simple action to ensure the protection of collections. 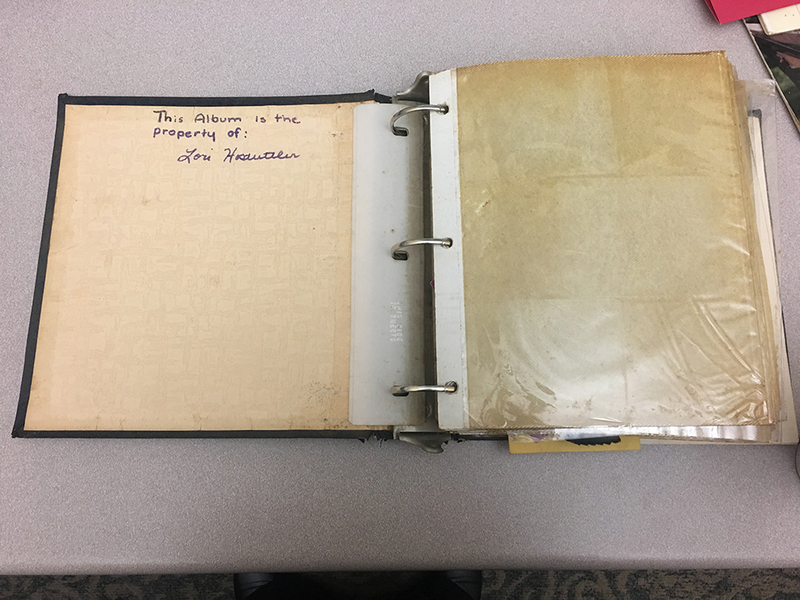 Preservation is an important aspect of the work we do at the West Virginia & Regional History Center and essential to the long term care of the collections in our stewardship. Following some best practices enables us to minimize the risk of damage to materials and help ensure that the history of West Virginia & central Appalachia will be around for researchers for many, many years to come. Although MayDay was conceived for institutions, individuals should also consider how prepared they are in the event of a disaster. Take a moment to consider your personal belongings, your cherished treasures that might be at risk. What are the three most precious things that you own and where are they located? Risk management means being aware of possible problems and trying to correct them in advance to minimize or prevent damage. Following some basic preservation methods will make a big difference. Proper storage and physical environment can prolong the life of materials. Are you storing your items in a stable place? Is there a risk for physical damage? Basements and attics, where we store many things, may not be a good places for storage if the temperature and humidity fluctuate. 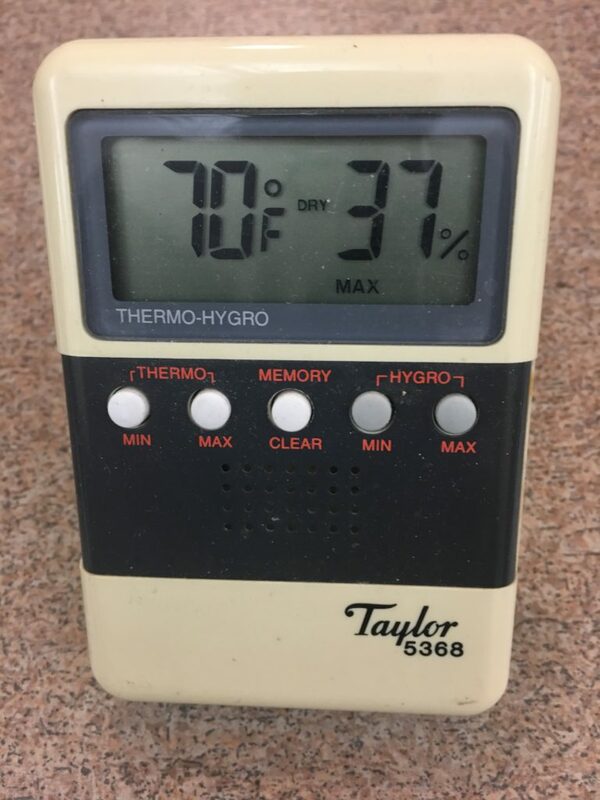 Temperatures should be cool – no higher than 70 degrees. Humidity levels should between 30-50%. Consistency is best. It is the fluctuations that cause the most damage. Exposure to dust and insects are also problematic. Acid free folders and boxes are ideal if possible. In this day and age, we must also consider digital records. This includes items that you have scanned or things that are “born digital” like digital photographs or music and video files. Digital preservation is an active process. With digitized or born digital material, keep in mind that file formats change – anyone still using Word Perfect? Lotus? For these records to be accessible in the future, you will need to periodically migrate them to the newest format. Also, you need to spot check files for damage – digital files can degrade over time which is called “bit rot.” Hard drives may fail over time as well. Keeping multiple copies will give you a backup if some files are corrupted or lost. You could consider an external hard drive, some cloud storage, and/or on your computer hard drive if possible. Last but not least, label everything! It will be frustrating for you and the future keepers of your material if it is not identified. For your digital items, create a system of file names that records information about the content. Think back to your list of three most precious belongings – what can you do by the end of the week to make them safer? Although I work in archives, I recently had to take stock of my own precious things. 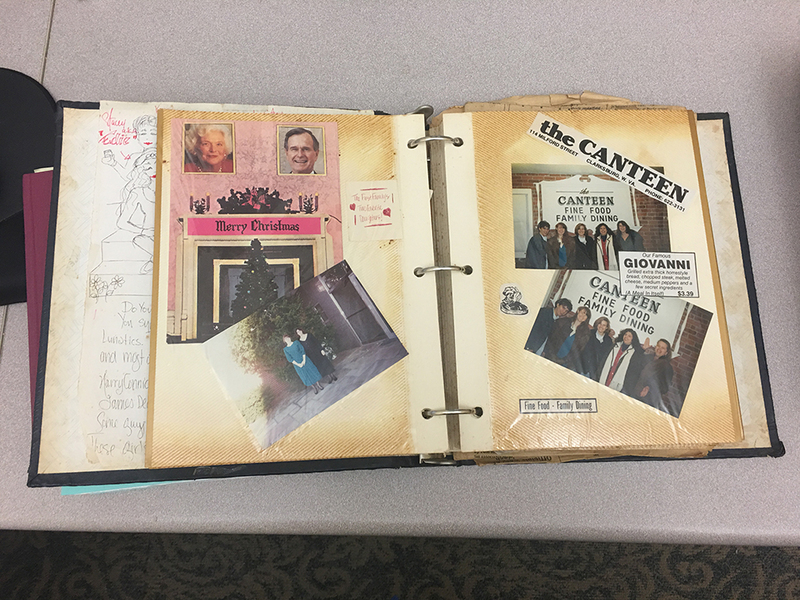 When I was young, I kept photo albums and did some primitive scrapbooking. The oldest of these albums is about 35 years old. I had not looked at it and others for over a decade. And when I recently did, I knew that I needed to take action right away if I wanted to save this bit of my personal history. This kind of photo album was ubiquitous in the 1970s and 1980s. They had sticky pages with plastic sheets covering each page. The adhesive is acidic. The yellow discoloration from that acid was readily apparent in my album. I was lucky that it did not seem to be affecting the coloring of my photos – yet. I also thought there might be signs of mold growth. After talking to a colleague, it turns out it is more likely that the orange/brown spots that pepper the pages and cover is foxing. 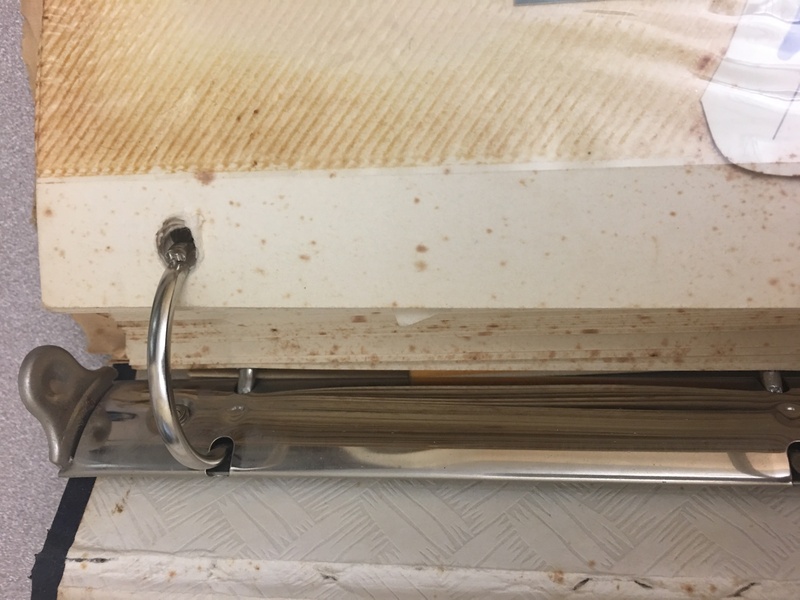 Foxing is pale, brownish, diffuse spots that appear on paper or other surfaces, probably either from mold or fungus growth, metallic impurities in the paper, or other conditions in combination with dampness. All things considered, I knew I needed to get the photographs and documents that I wanted to save out of this album right away. Fortunately, my photographs were not permanently stuck to the pages and they came off easily. I feel confident that they would have been, had I not realized the problem in time. If you do have photos stuck to the pages, the Smithsonian Institution Archives has created a video with tips for using plain dental floss for removing them. I am now storing my photos in a flat archival box. In the future, I might place them in an archival quality photo album. I actually labeled them all the way back in 1984! 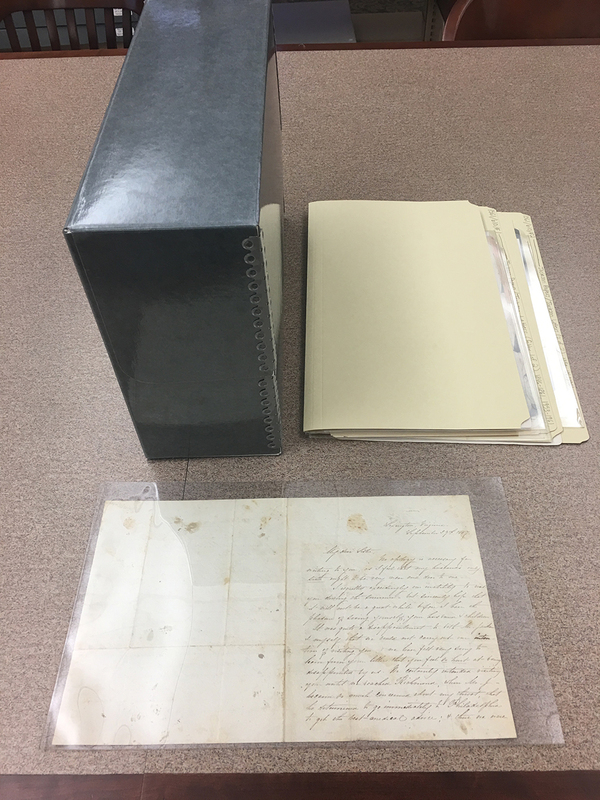 Detailed information is available from the Northeast Document Conservation Center or the Conservation Center for Art and Historic Artifacts with up to date standards for preservation of physical and digital materials. The ALCTS section of the American Library Association has a website called “Ask Donia.” You can submit questions about specific items and/or preservation problems. You can also read answers to previous questions. Our staff at the West Virginia & Regional History Center is also available to lend advice and guide you to the help you need. This MayDay, I hope you will take stock of your precious things and think about what you can do to protect them.